One of my favorite topics to talk about with regards to the Book of Mormon is the Popol Vuh. The Popol Vuh is to the ancient Mayan people what the various gold plates that were compiled to make the Book of Mormon were to the ancient Nephites. Both are a history of the people. The word "Popol Vuh" literally translates to mean "the people's book" or "book of the council". As I was digging through some old materials stored on my Google Drive, I stumbled upon a PDF of an article once published by AncientAmerica.org. As I can no longer find the article or the PDF on that site, I've decided to take the liberty of publishing it here on AmericanTestament.com. The article briefly summarizes some tantalizingly similar parallels between a "tree of life" or "tree of knowledge" mentioned in the Popol Vuh and the same as mentioned in the Bible and the Book of Mormon. Parallels in the Popol Vuh and the Book of Mormon Relative to the "Tree of Life" and the "Forbidden Tree"
There are distinctive parallels in the Popal [sic] Vuh to the tree of Life and the forbidden tree that are reflective of these trees from the Book of Mormon. The Book of Mormon teaches the doctrine of the fall from the Genesis tree of life and the forbidden tree (2 Nephi 2:15-20; 42: 2, 7). There are subtle references to the same doctrine taught in story form in the Popol Vuh, Part 11, Chapter 3, that includes both tree symbols. 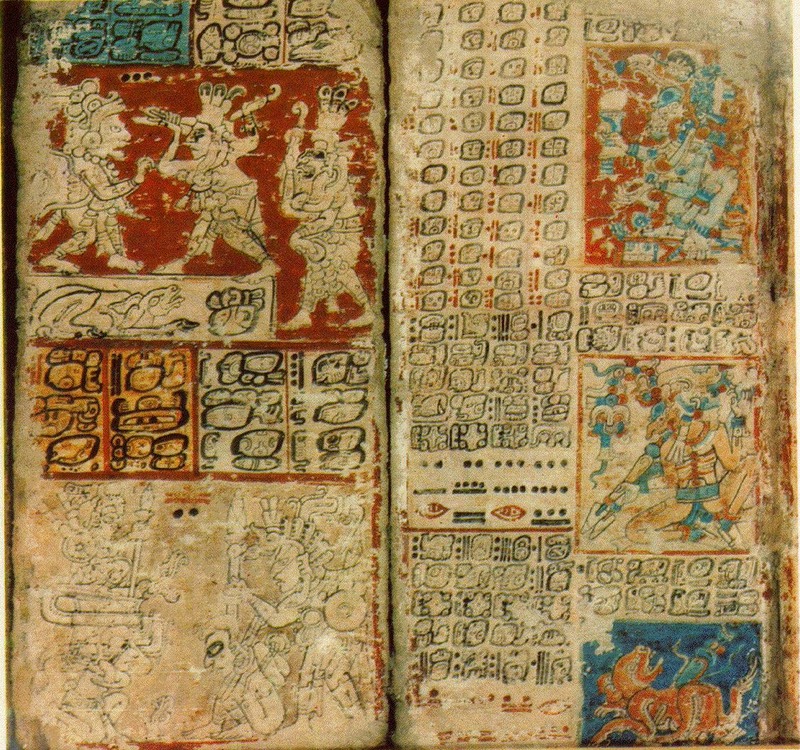 Experts on the Popol Vuh are generally agreed, after much study, that the Popal Vuh is a genuine pre-Columbian sacred book of the Quiche Maya that was not composed around Biblical passages by the Indians, as some have supposed, to gain influence with the Spaniards. We can consider the Book of Mormon book of Nephi as the potential original resource record, because the Quiche chronicler knew there was an ancient book "no longer to be seen" from which his compilation of the Popol Vuh had originated (Recinos 1950: 79). First, an ancient related source contemporary with the Book of Mormon has been observed on Izapa Stela 2, dating to about 200 B.C. In my Izapa Sculpture work (Norman 1976: 94) I compare the Calabash (gourd) tree on Stela 2 with the Popol Vuh "tree of life." I believe there is a direct connection between these two sources. Two figures that appear to be offspring (fruit) of the Stela 2 tree compare to the hero twins, the first ancestors of the Quiche, who were sired when their mother, Xquic, partook of the forbidden gourd tree. They compare to Eve's first two sons born after she partook of the forbidden tree. An implied Book of Mormon tree of life correspondence is really nearer to Eve's encounter with the Genesis "tree of knowledge of good and evil" than to the tree of life. Adam and Eve were forbidden to partake of the fruit in consequence of death, and when Eve partook, they were cast out to the earth where they became mortal, had children, and became subject to death. They also had two sons, Cain and Abel, who became locked in a life-death struggle that introduced the ultimate evil of murder as part of the fall that had to be overcome by the redemption of Christ. This compares to the ancestral twins, Hunahpu and Xbalanque of the Popol Vuh, who were locked in a life-death struggle with their two elder brothers. Because of their abusiveness, the two elder brothers were changed through sorcery into animals that resembled monkeys and went off and lived in the forest (Part II, Chapter 5). This compares to the elder brothers Laman and Lemuel who became cursed because of their rebellion and began living primitive life styles in the forest (2 Nephi 5:21, 24). In this, we appear to have a Genesis account mixed with the original ancestors from Lehi's first four sons in the Book of Mormon. The inhabitants of Xibalba were forbidden to approach the gourd tree, and the maiden in anticipation of partaking of its fruit said: "Must I die, shall I be lost, if I pick one of this fruit?" It was enticing, but a fear of death lingered from the skull that hung in this forbidden tree. I prefer this translation from Recinos rather than Tedlock's translation, who felt this passage makes more sense if it refers to the fruit dying and being wasted rather than the maiden. These interesting parallels are not proof of a Book of Mormon connection, but they are good evidence for a Popol Vuh origin for those who accept highland Guatemala as the land of Nephi where Nephi compiled his book contained in the Book of Mormon after arriving in the promised land in the sixth century B.C. (see 1 Nephi 19). Norman,V. Garth. Izapa Sculpture; Part 2 Text. Papers of the New World Archaeological Foundation, No. 30. Provo. 1976. Recinos, Adrian. Popol Vuh, the Sacred Book of the Ancient Quiche Maya. English version by D. Goetz and S. G. Morley from Spanish translation by Adrian Recinos. University of Oklahoma Press, Norman. 1950. Tedlock, Dennis. Popol Vuh; A Definitive Edition of the Maya Book of the Dawn of Life, and the Glories of God and Kings. Simon and Schuster, New York. 1985.